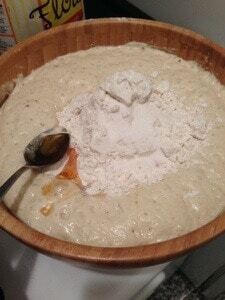 Once the sponge has risen, mix 1 tablespoon of barley malt syrup, 2 tablespoons of honey, additional teaspoon yeast, 3 teaspoons salt, and about 3 1/2 cups of the bread flour into the sponge. Once the ingredients are fully incorporated, add in the chocolate chips, and knead the dough either by hand or with a dough hook. 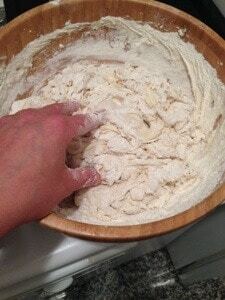 Add the remaining flour as necessary, and knead until the dough is a little stiff (not tacky) and a little springy. It should be satiny and smooth, without any dry bits of flour. This takes about five minutes using a dough hook, or about 10 minutes if kneading by hand. 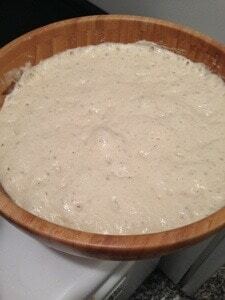 Divide the dough it into 12, equally sized pieces. Using a slotted spoon, place the boiled bagels on paper towels. Pat them dry with a paper towel (taking care to not wipe away all the melting chocolate chips, then place them on the baking sheet. 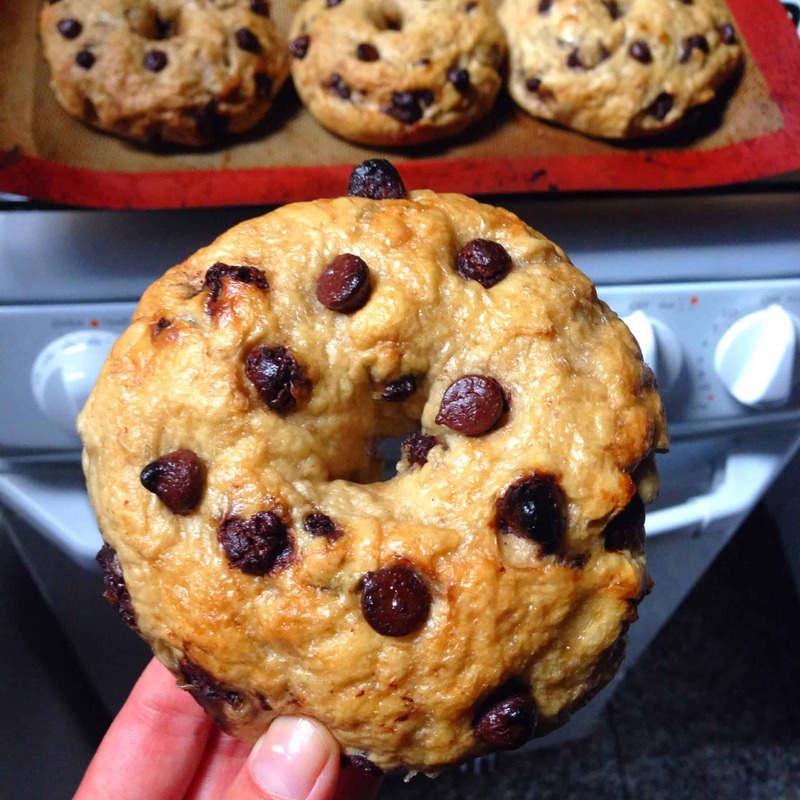 If any chocolate chips fell out during the boil, feel free push a few more into the tops of the bagels. Brush the bagel tops with egg wash. Let the bagels bake for 11-14 minutes, until they’re golden brown. 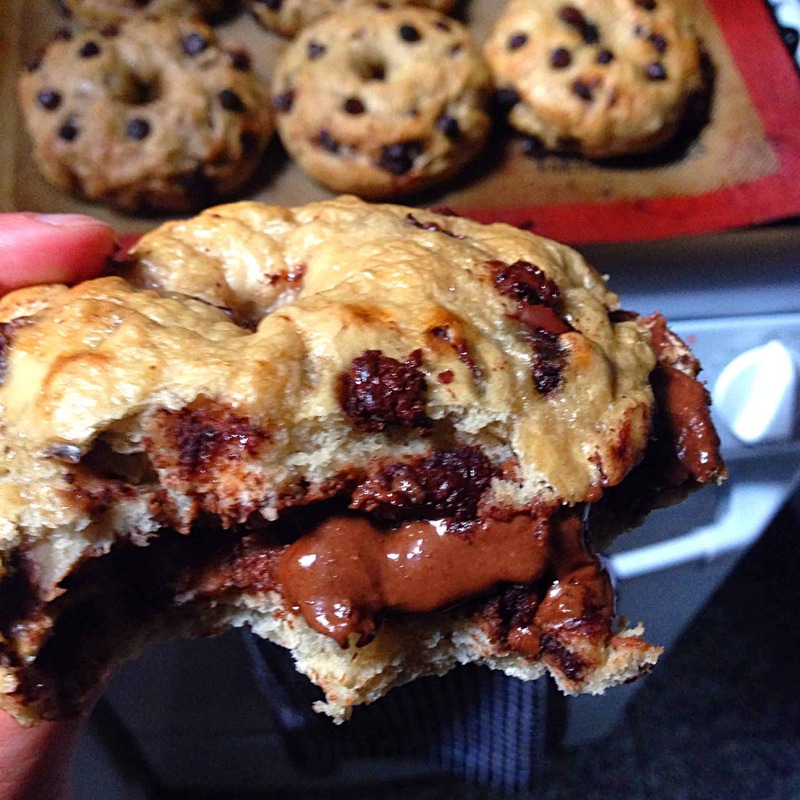 My review: I really liked the amount of chocolate chips in the dough, and found that a Nutella schmear is perfect with these bagels. They had a great chew, and the crust was perfectly crispy. I am so impressed, especially since you’re in NYC and it would be so easy to give in and buy bagels! Yours look delicious! Is the cheddar supposed to be in this recipe?